Vatican City, Feb 10, 2019 / 04:10 am (CNA/EWTN News).- Pope Francis called Sunday for an end to human trafficking, encouraging Catholics to pray for the intercession of St. Josephine Bakhita, the patron of trafficking victims. “We all can and must collaborate by denouncing the cases of exploitation and slavery of men, women, and children. Prayer is the force that sustains our common commitment,” Pope Francis said after the Angelus prayer Feb. 10. “May God himself release all those who have been threatened, injured or mistreated by slavery and the trafficking of human beings. He brings relief to those who survive this slavery and teaches them to see Jesus as a model of faith and hope so that they can heal their wounds,” he prayed. Pope Francis thanked all who fight for the end of human trafficking, especially many religious communities, and asked Catholics to recite with him a prayer to St. Josephine Bakhita. “I especially appeal to governments, so that the causes of this plague are resolved and the victims protected,” he said. The International Day of Prayer for Victims of Human Trafficking falls each year on February 8, St. Josephine Bakhita’s feast day. Born in Sudan in 1869, Bakhita was kidnapped at the age of seven and sold into slavery by Arab slave traders. During her time as a slave, she was beaten, tortured, and scarred. In 1883, she was sold to the Italian Vice Consul, Callisto Legani, who took her with him back to Italy. While in Italy, she was given to a family and became their nanny until the family left her with the Canossian Sisters in Venice when they traveled to Sudan for business. Bakhita was cared for by the Canossian Sisters during the legal battle that ensued for her freedom from slavery. Eventually, an Italian court ruled that since slavery had been outlawed in Sudan prior to her birth, she was not legally a slave. “St. Bakhita, assist all those who are trapped in a state of slavery; Intercede with God on their behalf so that the chains of their captivity can be broken,” Pope Francis prayed. “We beseech you to pray and intercede for all of us: so that we do not fall into indifference, so that we open our eyes and can look at the misery and wounds of so many brothers and sisters deprived of their dignity and freedom and hear their cry for help,” he continued. Reflecting on Sunday’s Gospel — the call of St. Peter — Pope Francis praised the fisherman Simon Peter’s “attitude of availability” to the Lord’s call. “Thus He acts with each one of us: He asks us to welcome him on the boat of our life, to start again with him and to plow a new sea, which reveals itself full of surprises,” he added. “When we place ourselves generously at His service, He does great things in us,” Pope Francis said. Vatican City, Mar 22, 2018 / 12:00 am (CNA).- The story of Benedict XVI’s letter and the communication issues it raised, dubbed “Lettergate,” has led to the resignation of a curial prefect, among other things. 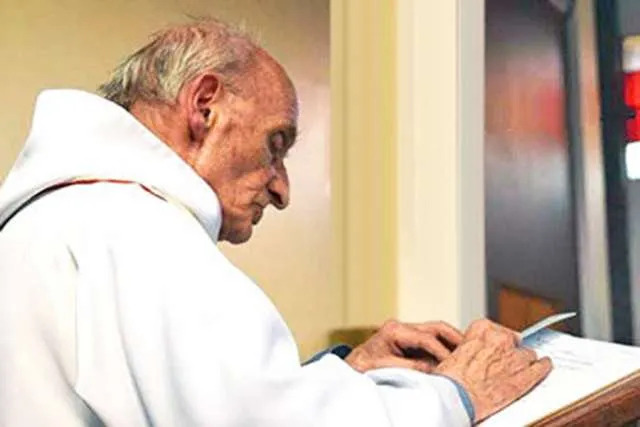 Vatican City, Apr 24, 2017 / 10:07 am (CNA/EWTN News).- Pope Francis on Saturday comforted the sister of Father Jacques Hamel, an 85-year-old priest who was killed by ISIS sympathizers while celebrating Mass in Normandy, France last summer. According to the Associated Press, the Pope gripped the hands of Roselyne Hamel and spoke quietly to her during an April 22 liturgy honoring the “new martyrs” of the 20th and 21st centuries in the Basilica of St Bartholomew on Rome’s Tiber Island. Fr. Hamel was killed July 26, 2016 while celebrating Mass after two armed gunmen stormed a church in Saint-Etienne-du-Rouvray in Normandy. The assailants entered the church and took the priest and four others hostage. Local law enforcement reported that the priest’s throat was slit in the attack, and that both of the hostage takers were shot dead by police. The attackers were identified as Islamist extremists. Pope Francis issued a statement at the time decrying the “absurd violence.” He later said during a Mass in September at the Vatican in honor of Fr. Hamel that the slain priest “is blessed now,” according to Archbishop Dominique Lebrun of Rouen who was there. Last October, the French diocese of Rouen officially began an inquiry into the beatification of Fr. Hamel after the Pope waived the traditional five-year waiting period. She said that his death was a witness for the whole world, and continued the ‘yes’ with which he had given his life in service to Christ at the moment of his ordination. Gluten and Communion: What’s a celiac to do? Vatican City, Jul 11, 2017 / 03:01 am (CNA/EWTN News).- The norms regarding gluten and Communion hosts that went viral this weekend are nothing new in the Catholic Church. On Saturday morning, the Congregation for Divine Worship and the Discipline of the Sacraments issued a circular letter to bishops reiterating existing norms regarding the matter of the Eucharist, including the norm that Communion hosts must contain some amount of gluten to be valid matter for consecration. By Saturday night, the (misconstrued) news had spread like wildfire: “Catholic Church bans celiacs from Communion!” many media outlets declared. It was such a hot topic that Twitter declared it a “moment” in world news. But these were existing norms – there was no change, no announcement of new norms, nor banning of celiacs from the Sacrament of the Eucharist. Gluten-free hosts have always been invalid matter for the sacrifice of the Mass, meaning that Catholics with celiac disease have already grappled with other options for Communion. Usually, such “reminder” letters are issued when someone, generally a bishop, has raised a question or has been alerted of a possible abuse of the norm. Still, the letter left lingering questions regarding people with celiac disease (or those with other serious allergies to wheat) and Communion. Here’s what the Church, and Catholics with celiac disease, have to say about going gluten free for Communion. Why must a Communion host contain at least some gluten? Wheat bread and wine of the grape are the matter of the sacrament of the Eucharist because Christ instituted the sacrament under these species. Moreover, Christ compared himself to a grain of wheat, and to the vine. At some point along the line the question of gluten came arose, and whether the bread used for Holy Communion necessitated at least some gluten (and its accompanying protein gliadin) to be considered wheat bread that was valid matter for the sacrament. That said, the Church recognizes that it mustn’t exclude from receiving Communion Catholics with celiac disease, and has made accommodation for those who are unable to consume normal bread. A layperson affected by celiac disease who is unable to receive even a low-gluten host may receive Communion under the species of wine only. A priest in a similar situation, when taking part in a concelebration, may with permission of the Ordinary receive Communion under the species of wine only. But such a priest may not celebrate the Eucharist individually, nor may he preside at a concelebration. Father Joseph Faulkner, a priest of the diocese of Lincoln, was diagnosed with celiac disease in 2008. Already a priest, he had to receive special permission from his diocese to use low-gluten hosts in order to celebrate the Sacrifice of the Mass. Fr. Faulkner told CNA he was surprised that the letter regarding communion norms exploded so quickly on Twitter, but he saw it as a teachable moment. The problem of gluten is especially pressing for priests, who must consume Communion under both species at a Mass which they celebrate individually. For Father Faulkner, he has found that the best low-gluten hosts are made by the Benedictine Sisters of Perpetual Adoration in Clyde, Missouri. The sister’s website includes a page about proper storage and distribution of low-gluten hosts so as to avoid cross-contamination. While the hosts are not low-gluten enough to be considered gluten free (which is understood to be less than 20 parts per million), they are low enough to be approved by the Celiac Support Association, which has some of the most stringent guidelines available on what celiacs can safely consume, Father said. “I throw up if I eat bread, but I consume 8-9 large, low gluten hosts per week, and have done that for 9 years, and I don’t get sick from them,” he told CNA. Father Faulkner said he recommended that any celiac wary of the low-gluten hosts obtain a few of them, unconsecrated, and try tiny particles to see if they are able to safely consume them. That’s because the chalice of wine that the priest uses contains the frumentum – the little bit of Host dropped in during the Angus Dei. To avoid any cross-contamination, a separate chalice is necessary. “That’s the most certain way, and when you receive the Precious Blood, you receive Jesus’ body, blood, soul and divinity, so you don’t have to worry” about only receiving part of the sacrifice, he said. For those who are able to receive the low gluten hosts, travelling with a sleeve of unconsecrated hosts can be a way to ensure that they can receive Communion in different parishes, Fr. Faulkner said. Michelle De Groot is a layperson with celiac disease in the Diocese of Arlington. She said that for a long time, she would approach priests in the sacristy before Mass to ask them to consecrate a separate chalice of wine, so that she could safely receive without cross-contamination. “That was always kind of stressful because sometimes the priest would understand what I was talking about and sometimes not. And they didn’t always have a second chalice handy,” De Groot told CNA. “So sometimes I’d just receive anyway from the cup with (the frumentum) and sometimes I’d make a spiritual communion instead,” she said. A spiritual communion is a uniting of oneself to the Sacrifice of the Mass through prayer, and can be made whether one is able to receive Communion or not. Then, De Groot found out about the low-gluten altar breads made by the Benedictine Sisters. After doing her research, she decided to try these hosts, since they are approved as celiac-safe. “I’ve never had any symptoms,” she said. De Groot says she also travels with her own supply of low-gluten hosts and a pyx (a small, round container for hosts) that allow her to receive Communion at parishes that may otherwise be unprepared. She said while her celiac diagnosis was an emotional one for her at first, it has allowed her to establish relationships with priests and Eucharistic ministers at her parish and other churches she frequents. “At my home (parish), it’s even not the end of the world if i’m running a few minutes late because they know me and my needs – whereas when I was first diagnosed, I had to get to church 15 minutes ahead to give time for the awkward explanations,” she said. Molly O’Connor is also a Catholic with celiac disease, who expressed similar frustrations with trying to make sure the Communion she received was both valid and safe. Having lived in six local Churches throughout the country, she said experiences varied widely from parish to parish. 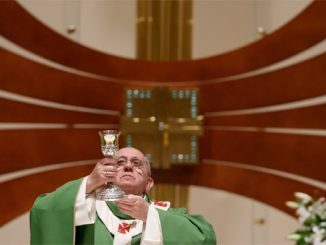 “I typically just receive the cup at Communion, and I try both to sit in a part of the church where Communion is distributed by a priest so I may receive a blessing and near a cup that doesn’t have part of the host in it. If that sounds complicated, it is!” she said. Travelling can be difficult, she said, as it can be hard to know whom to approach about receiving Communion. Parishes also often don’t announce whether they have low-gluten hosts, or how low-gluten they are, and not all parishes are conscious about cross-contamination, she said. The U.S. Bishops issued a letter in 2012, updated in April 2016, regarding low-gluten and gluten-free communion options, as well as guidelines to avoid cross-contamination that can be found here. 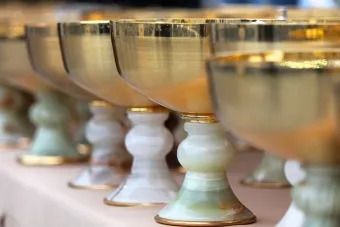 O’Connor said the best situations have been when priests consecrate a separate chalice for her, and when parishes announce specifics about low-gluten or gluten-free options. “As the Eucharist is the source and summit of our Catholic faith, I think making Communion accessible to celiac and gluten-sensitive Catholics, in a manner consistent with Vatican and the U.S. Bishop’s norms, is paramount,” she said. 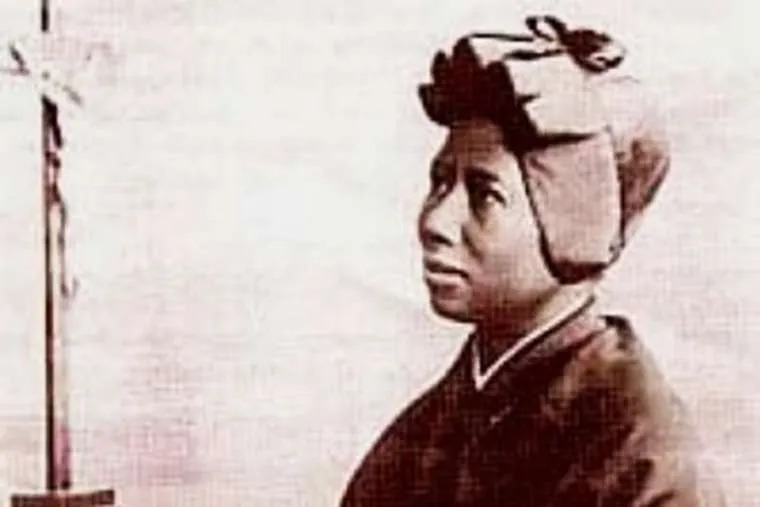 St. Josephine Bakhita – Pray for us. Our President has be on this since from the beginning of his Presidency and saved so many children and he stopped aide from nations who are not complying with protecting the people of their own countries. I’m glad the Pope is supporting the President and calling all leaders to follow the President in this matter. What it really means to be a Catholic. Regardless.